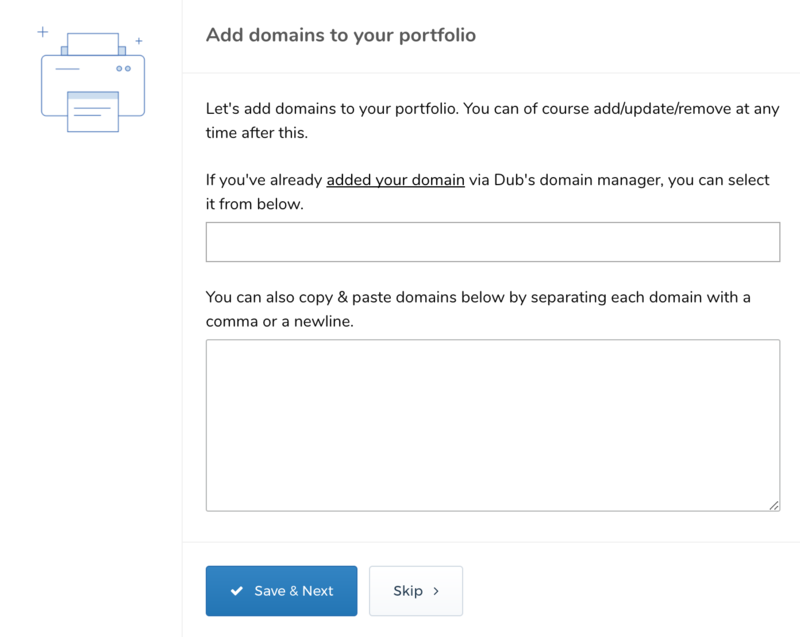 Now that you have a basic portfolio ready, it's time to add domains to your portfolio. The dialogue you see in screenshot 1 will let you select domains that you have already added via My Domains. You can add whichever domains you like and as many as you want. You can also copy and paste all the domains you would like to add. Dub will automatically sort out duplicates and ones that already exist.